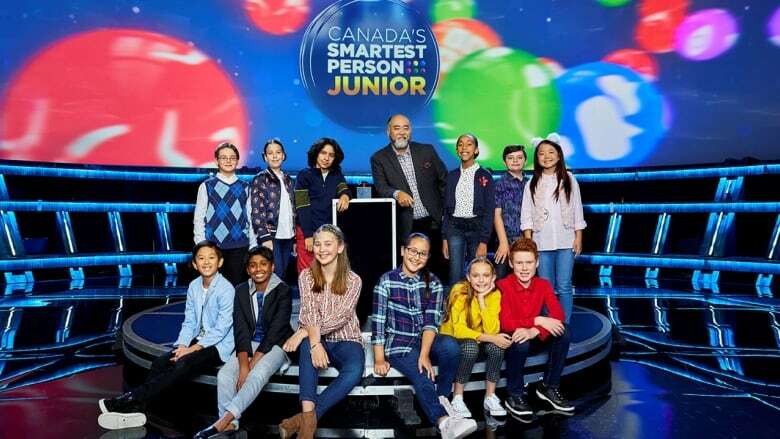 Canada's Smartest Person Junior premieres on CBC-TV on Nov. 14, 2018. Over the course of six weeks, 12 young Canadians will test their physical, musical, social, linguistic, logical and visual intelligence in front of the nation. Canada's Smartest Person Junior will be hosted by Paul Sun-Hyung Lee and premieres on Nov. 14, 2018 at 8:00 p.m. (8:30 p.m. NT) on CBC-TV. Calling all students in Grades 7-12: The First Page student writing challenge is open for submissions! 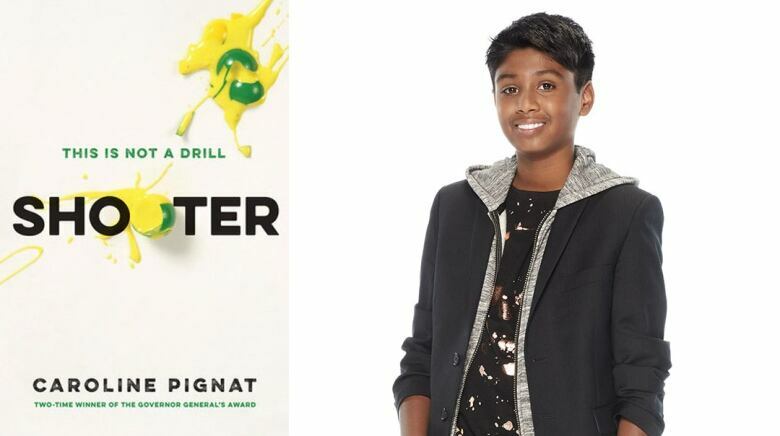 Below, the cast of Canada's Smartest Person Junior, who range in age from 10 to 12, recommend the books they think their entire generation should read. "There's no magic like reading and there's no series quite as magic-filled as Harry Potter. As a devout Harry Potter fan, I believe my generation should read this whole series because it has a little bit of everything for everyone. It has fantasy, adventure, action, romance and mystery. 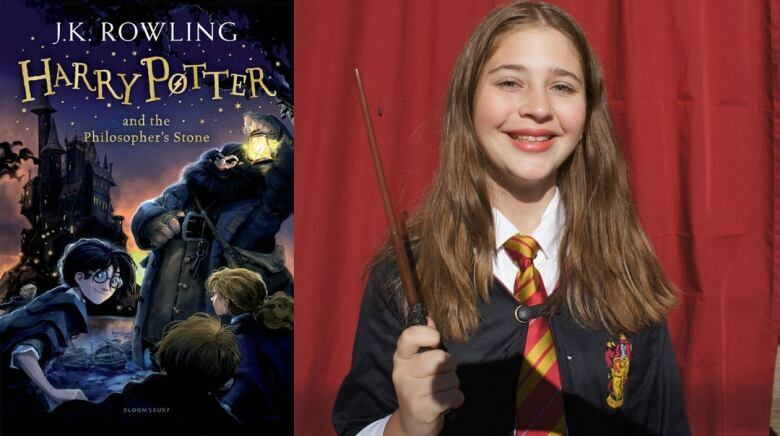 "When I started reading Harry Potter and the Sorcerer's Stone, I was immediately hooked and couldn't put the book down. Harry Potter is a captivating seven book series about a boy named Harry Potter and his adventures in the wizarding (and muggle) world. He and his two best friends, Ron Weasley and Hermione Granger, go through their seven years at Hogwarts (a school of witchcraft and wizardry) together. Spoiler alert: Near the end of each school year the antagonist of the story, Voldemort, attempts to kill Harry. Be warned: after reading you might be struck with the uncontrollable urge to re-read the entire series. The books also include real history and real people like Nicolas Flamel. You will even learn a bit of an ancient language with Harry Potter because most of the spells have a combination of Latin words. Take a well-known spell, Wingaurdium Leviosa — the first word is a mix of the English word wing and an adaptation of the Latin word arduus, which means 'steep.' The second word also is an adaptation of the Latin word levo which means 'I lift.' Pretty cool right? Now it's your turn to unlock your adventure with Alohamora and dive right into the mystical, magical world of Harry Potter." "Lockdown drills in our schools seem to be a regular practice these days. Administrators and teachers conduct emergency protocols to keep students safe. Imagine a situation where a real lockdown arises. To my entire generation, I recommend the book Shooter, which highlights the potential violence and tragedy in a lockdown setting. "As students, we don't often think about a real lockdown occurring — the likelihood of somebody actually coming in and terrorizing classrooms and hallways. This book creates that suspenseful, bone-chilling moment in a high school where five students hide in an unsanitary setting during an actual lockdown — the boys' washroom. Isabelle, Hogan, Alice, Noah and Xander have wide differences in character but all end up in a similar situation. They each carry a different perspective of the event and express it in their own unique way through regular dialogue, homework assignments, poetry, text messaging and graphics. "Is it possible that they could gain some understanding about each other? The atmosphere in that boy's washroom sets up for some pretty interesting reveals! I highly recommend Shooter because it is fast-paced and thought provoking. It brought together characters that were different from each other... and they did what was necessary to save themselves and everyone around them." 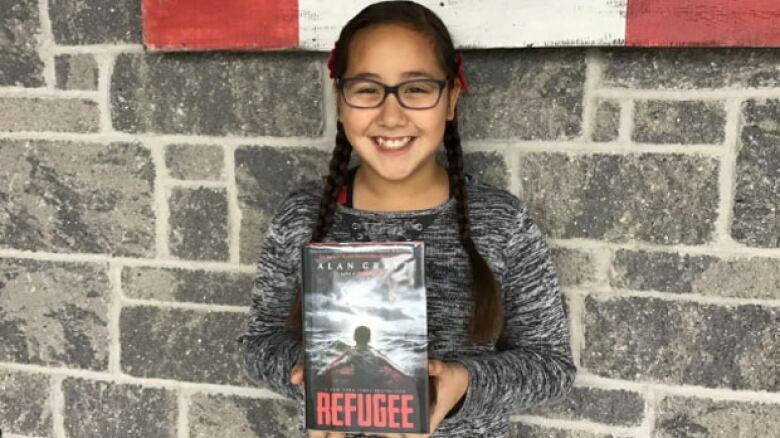 "Refugee by Alan Gratz is a masterfully written book, filled with action and cliffhangers that make it impossible to put down. The book is about three kids; Josef, a Jewish boy trying to escape Germany during the war in the 1930s, Isabel, a girl fleeing Castro and the island of Cuba in 1994, and Mahmoud, a boy running away from war-torn Syria in 2015. Though the three children were from different countries and generations, they have one thing in common: they were all refugees. "The book is filled with heartbreaks that are carefully and meticulously knitted into an emotional tale. Reading this book makes me appreciate how incredibly lucky I am to be Canadian, living in peaceful Canada, without any cause to seek refuge elsewhere. The author has woven multiple, all based-on-true-stories, tales together, in a way that I never would have anticipated. Alan Gratz is a well-respected author, who has won many awards, and has had many books on the New York Times bestseller list. I truly enjoyed reading this book more than once, and I believe that Refugee is a must-read for everyone in my generation." "Red Butterfly tells the story of a young orphan girl in China who is struggling to find her meaning in life. Eleven-year-old Kara was abandoned on a doorstep when she was just a few days old. An elderly American woman living in China, referred to as Mama in the novel, took Kara in and raised as her as her own. Throughout the story, Kara is trying to understand why she was abandoned. Was it because she was female and her parents hoped for a son? Was it the fact that she only had two fingers on one hand? Kara wasn't sure, but the fact that she was left and abandoned infuriated her. Throughout the course of the novel, Kara will be given a whole new perspective on life and she will learn just how lucky she really is. "Red Butterfly taught me how lucky I am to live in a country like Canada where I have a home and family and friends. Kara's story also taught me how grateful I should be and how you can't always see what others are going through. I learned that not all countries have good gender equality and that in many developing countries women are treated differently and poorly. Everyone in this generation should hear Kara's story because it can give you such a new perspective on the world. It teaches you to be that much more grateful for what you have and that children all around the world who are my age don't always have ideal situations." "Amal Unbound is a story by Aisha Saeed that takes place in modern-day Pakistan. It shows the dramatic and sorrowful change of 12-year-old Amal from an intelligent and inquisitive student to a stay-at-home housekeeper replacing her pregnant mother, to a servant for a powerful crook. Amal stands up for herself against the cruel Jawad Sahib, son of the village owner Khan Sahib. Therefore, she is forced to become a servant for him. Adapting to her new surroundings, she regrets taking her ordinary life for granted. "This realistic fiction book reflects gender inequality in Pakistan, a topic that has recently been talked about due to Malala Yousafzai. It also shows the life of average women in Pakistan and demonstrates how women's rights are more advanced in Canada. This piece of literature is so critically acclaimed that it became one of the books for Global Read-Aloud 2018, that's how I got to know this fantastic novel. 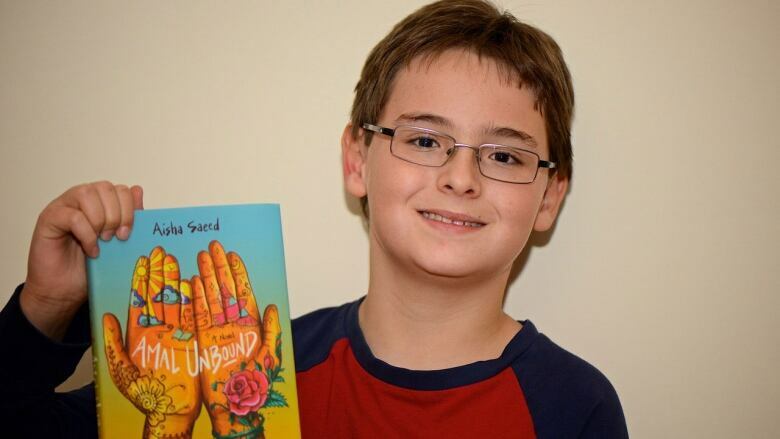 I'm Liam Henderson and I recommend Amal Unbound!" 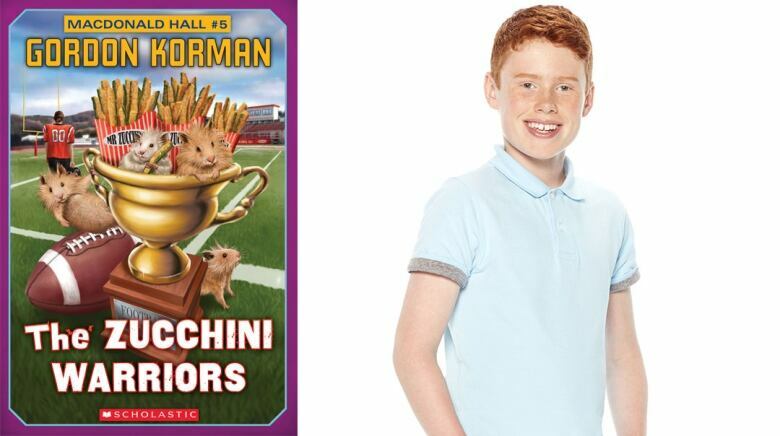 "I think that all kids of my generation should read the book The Zucchini Warriors by Gordon Korman because it combines comedy, sports and friendship. In the book, the all-boys private school MacDonald Hall creates a football team sponsored by former Green Bay Packers superstar — and present-day zucchini tycoon — Hank the Tank Carson. However, the students are mad because they all signed a petition for a recreation centre. When Hank catches wind of it, he offers them a deal... If the MacDonald Hall Zucchini Warriors can win a championship, he will gladly sponsor both the team and the recreation centre. There's just one teensy-weensy problem — the Zucchini Warriors stink! Which brings a life lesson into the plot: equality. Right before the first game, Cathy Burton of the neighbouring institution, Ms. Scrimmages' Finishing School for Ladies, sneaks into a football practice saying that she's Elmer Drimsdale, the school's resident genius. That just goes to show you that, no matter your gender, you can always compete if you put your mind to it. When I think about Canada's Smartest Person Junior, I know that with the top competitors, gender was not a factor. For these reasons and many more, I believe that everyone in my generation should read this book." "A book that our generation should read would definitely be Stories From The Vinyl Cafe by Stuart McLean. The book is based on the radio show of the same name, also told by McLean. The book features many different characters and storylines, composed into a collection of short stories that can hold your attention for hours of silent reflection. Who am I kidding, the book contains stories of people accidentally stealing a sausage. It follows Dave, the owner of a store called The Vinyl Cafe and Ed, Flora, Margaret and others. "The book doesn't remind me of anything specific, as it has a theme of just life. It's a very real book and Stuart does an incredible job of making these stories come to life. One story that stood out to me was the first one, Pig. This story's main character is Dave, and after being surprised at a $530 vet bill for a dying guinea pig, he goes through some self-reflection. In the end, although having second thoughts, he decides to pay it. It stands out to me because it isn't sad, nor overly joyous. It is just perfect for me. "This book makes me want to read more because of the way that it makes all its chapters into short stories that each provide their own tone, feel and pace. This kind of book has something for everyone, and it provides a unique reading experience. "In conclusion, Stories From The Vinyl Cafe is an amazing book. It's descriptive, fun and relatable. I adore the storytelling and presentation. This is a book that my whole generation should read as it will have you laughing, smiling and crying along with the characters." "Hello readers! 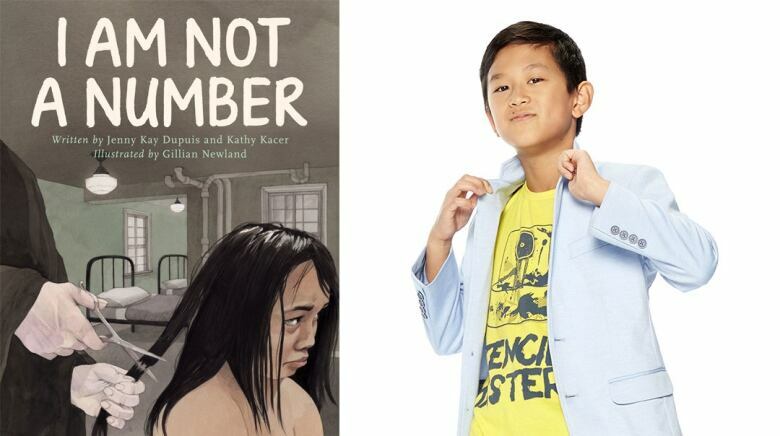 My name is Matthew and I am going to talk about the book Wonder, written by R.J. Palacio. 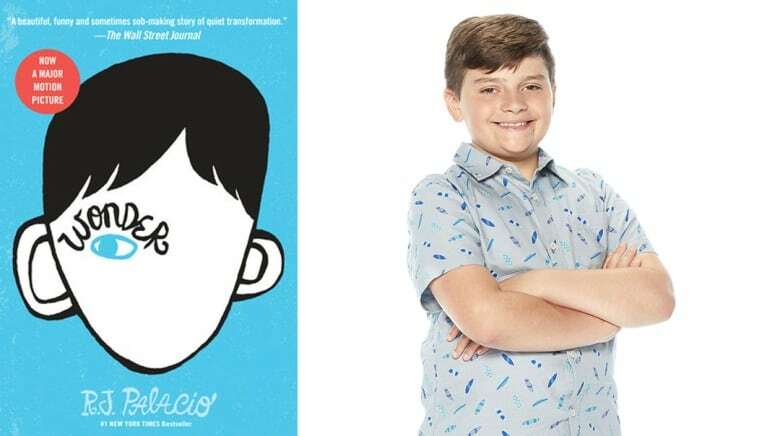 Wonder is the story about Auggie Pullman, a boy with facial differences. 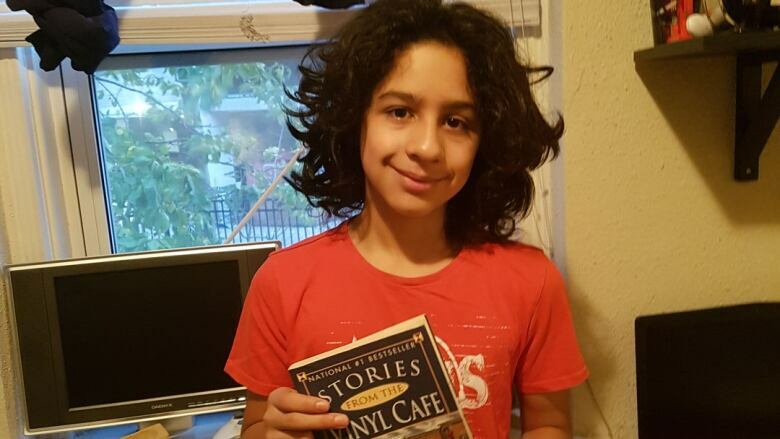 Auggie's parents want him to go to middle school after being homeschooled since kindergarten. During the year, Auggie is bullied because of his differences. Also, his friends, Jack Will and Summer Dawson, are bullied just for hanging out with him. Despite this, he still goes to school and faces the bullies. "During a school trip, Auggie meets some seventh graders from another school and they beat him and Jack up. The bullies from his school scare the seventh graders away. In the end, Auggie is a hero for his bravery during the school year and is awarded the Beecher Award for his bravery in school. "An interesting part of this book is how it is told from different perspectives. From Auggie's sister to the school bully, it shows the impact he is making on them. It makes you feel how other people are feeling through Auggie's struggle. I recommend this book because it shows that it is OK to be different. It sends a message not to be ashamed of who you are! Be proud of yourself! It doesn't matter if you look different, think or see things differently, it is okay to be different! Show the world how unique and special you are! YOU ARE SPECIAL!" 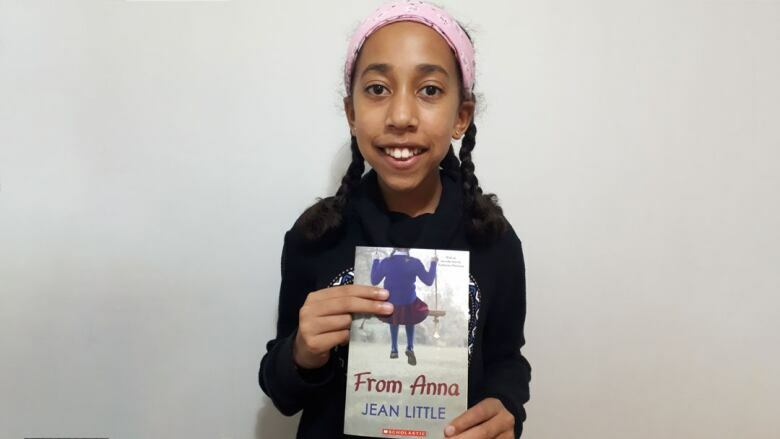 "This book is about a young girl named Irene who was taken away from her First Nations family to go to a residential school, where she felt horror, confusion and loneliness. In the residential school, she was treated very poorly, and she felt that her religion and traditions were all taken away. She had to adapt herself to Euro-Canadian culture. In the residential schools, they were known by numbers instead of names. When she returned home in the summer, she had told her mom and dad how terrible it was in the residential school. After that, they had a plan to hide her. "This book showed me very heavy emotions. Many of us think that Canada has always been such decent country, but there were dark times in Canadian history. It is so sad for me to learn that so many First Nation kids were forced to leave their families to go to residential schools. Over 6,000 young kids lost their lives because of the unsuitable food, the harmful punishments and the heavy labour work. Our generation is inspired to look into the future, but we should never forget the past. This book is not that long, but it still makes us understand how First Nations children were treated back then. That is why I think this is a meaningful book for my entire generation to read." "The book I think my whole generation should read is a book called Sidekicked by John David Anderson. It's about a kid named Drew Bean who is in a secret superhero organization and is a sidekick to a very popular superhero that went missing a couple of years ago. Drew tries to look for his superhero even though all of his friends tell him that it is pointless. The main reason I choose this book is because of the moral of the story, which is to never let anything get in the way of your main goal. No matter what his friends told him and all the difficult obstacles that he went through he still chased after his superhero. No matter what happened, he still persevered through it to get to his goal. Another reason I think people should read this is because of its suspense and plot twists. An example of a plot twist would be when his best friend, Jenna, ends up becoming bad but then turns good again. An example of suspense would be when Drew is going through his boss's office trying to look for clues; it is suspenseful because you don't know if his boss is coming in or worse, if a villain was coming. Those are just a couple of reasons why I think my generation should read this book." 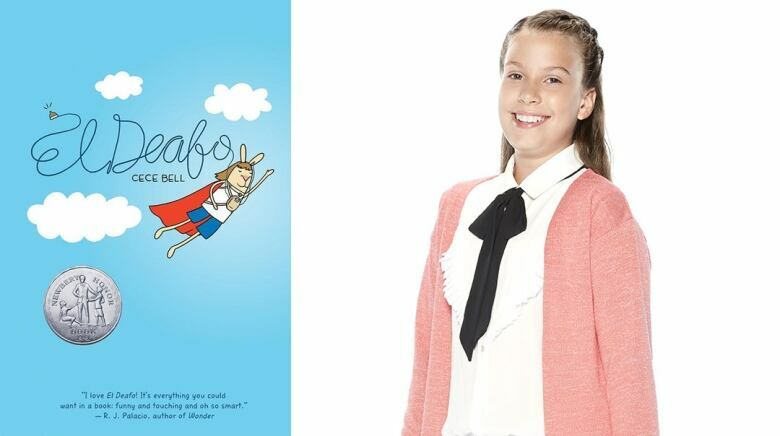 "I highly recommend El Deafo! It's an amazing graphic novel about a girl who, in her youth, becomes deaf. The book is about how she tries to fit in and become like everyone else. I think the story is great because it teaches us that she shouldn't try to be like everyone else. Everyone is different and instead of hiding your differences, you should celebrate them. Like snowflakes, no two people are the same. 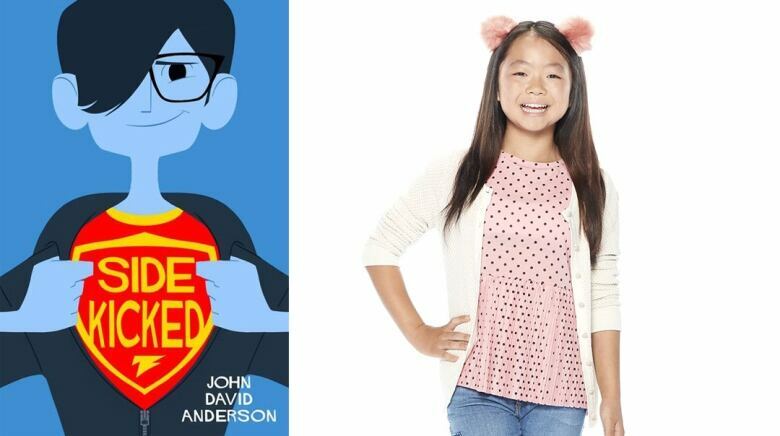 "El Deafo is based on a true story. The author really experienced most of the things in the book. It's incredible because it allows young minds to grasp the concept that there are real problems that can happen to real people. It's a very touching story with a lot of good art and emotion. "Another big part of the story is the humour. First, all the characters are drawn as bunnies. I don't know why the author did it that way, but I love it! Also, her hearing aid starts detecting a little too much, which leads to funny moments. "What I really like the most about the story is not the comedy or the emotions, it's the fact that the author admits that she made a few mistakes. Sometimes she is mean with someone by accident and does not know how to apologize. A lot of adults do not realize this, but kids make a lot of mistakes. Not because we aren't good kids but because we're still learning and because of our fear of displeasing people. Getting good grades and being popular can be a lot of pressure for a kid. I think I speak for most kids when I say that school can be stressful, but it can also be amazing. There are good moments with your friends that you will cherish forever and there are bad moments, when you make mistakes. But what's important is that you learn from your mistakes, grow from them, and finally, you will succeed in life. Success multiplies. "I think El Deafo is an amazing book and I hope you read it one day. Do not be afraid of errors and always be yourself. If you do that, you will always find happiness." 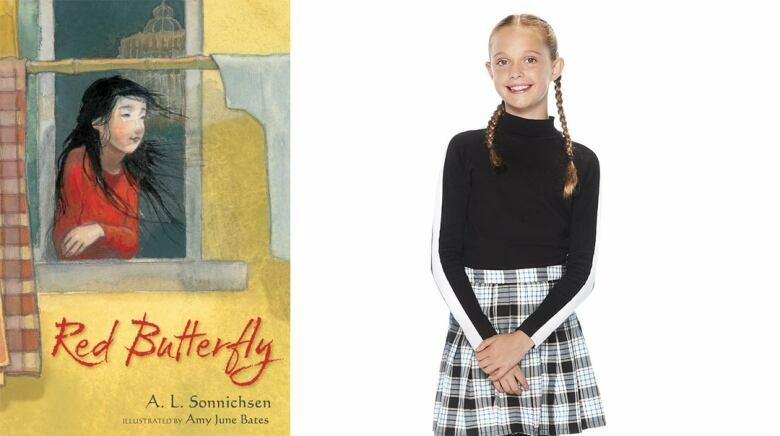 "From Anna is a book set in 1933 about a German girl named Anna Solden. Her family moves to Canada and Anna, being the youngest, needs more time to adjust, especially after a disappointing discovery. "I think From Anna is a really great book because it really describes what it's like to come from another country and not even know what to expect. It is a great story for anyone feeling like the odd one out in their family, or anyone who moved to Canada from another country. It also displays what it's like to have a large family and having to feel like 'the lowest' in the family. "The story also honestly explains what it's like to meet new people and how different they seem until you become one of them. "This book is really interesting and enjoyable and I highly recommend it to anyone."